Sometimes some people come together to create a group viewers can identify with right from the word go. The success is primarily based on the group members being on the same page, sharing the same ethos and it doesn’t get any better if those members are brothers or more precisely The Avett Brothers. Two of the most amazing musicians, Seth Avett and Scott Avett have created a band that has been a huge success in a very short space of time. Their amazing music and live performances have made sure that The Avett Brothers tickets are sold to packed houses everywhere they perform. The Avett Brothers have crossed over to a lot of different genres as easily as fish takes to water. They have created a reputation which is based on amazingly energetic music coupled with unbelievably high energy performances to make a unique name for themselves in the hearts of millions. Scott and Seth started playing music together when they were kids but they came together officially in the early part of the 1990’s. Seth had a rock band called Margo during his high school whereas Scott had a group called Nemo during his college years. The brothers eventually decided to work together under the Nemo banner to pursue their passion for music. Scott was a vocalist and banjo player and Seth was a guitarist and a vocalist. It was a combination that was always destined to go places. Nemo is what put them on their quest for music excellence. The Avett Brothers started to work on their music and released three albums under that name. That led to their fascination with acoustic music. 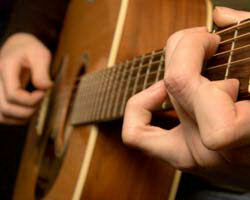 They would join up with some of their friends to experiment acoustic guitar pulls. One of those friends was Nemo’s guitarist John Twomey and together they started these late night sessions. After a few street performances the trio decided to name their acoustic experiments The Back Door Project or Nemo Downstairs. Their street performances started to get some local attention and they realized that this was just as fun as their own band. The acoustic sessions became such an integral part of their lives that they decided to make it all official and changed the name from The Back Door Project to The Avett Brothers with the release of their debut self-titled album in 2000. The Avett Brothers was giving Scott and Seth so much satisfaction that they decided to shelf Nemo and started working on this project full time. Twomey then left the band and Bob Crawford, a vocalist came onboard. The band released their second album Country Was in 2002 and immediately went on a tour to promote it. The tour was the first steps in establishing their reputation as brilliant performers. They followed it up with the release of their first live album called Live at the Double Door Inn and immediately after that released their next album A Caroline Jubilee in 2003. The album was a hit everywhere and it epitomized the sound and music The Avett Brothers were trying to bring to the masses. The band kept on touring continuously during the next few months but also started to work on their next album which materialized itself in the form of Mignonette in the year 2004. The album was an immense hit and took the band to a whole new level. The Avett Brothers just didn’t want to stop touring and were on the road for the next few years while releasing sensational music in the form of albums like Four Thieves Gone: The Robbinsville Sessions and I and Love and You coupled with EPs and live albums like The Gleam and Live, Volume 3 etc. The non-stop touring schedule and the releases that kept on coming ensured that the band cemented their reputation as not only out of this world musicians but also unbelievably good live performers. A performance by The Avett Brothers is a must see event. Fans have left every performance by this amazing band wishing it hadn’t ended, that is how good they really are. The good thing is they are out on tour again so if you see them coming your way don’t miss out on a chance to buy The Avett Brothers tickets for a concert that will simply take your breathe away. Q:Are there any hidden charges in the avett brothers tickets prices? A:No, the Avett Brothers Tickets prices are full and final as mentioned on our website and include no hidden charges at all. Q:When will my avett brothers tickets be delivered to me? A:Your Avett Brothers Tickets will be delivered to you in the time specified.